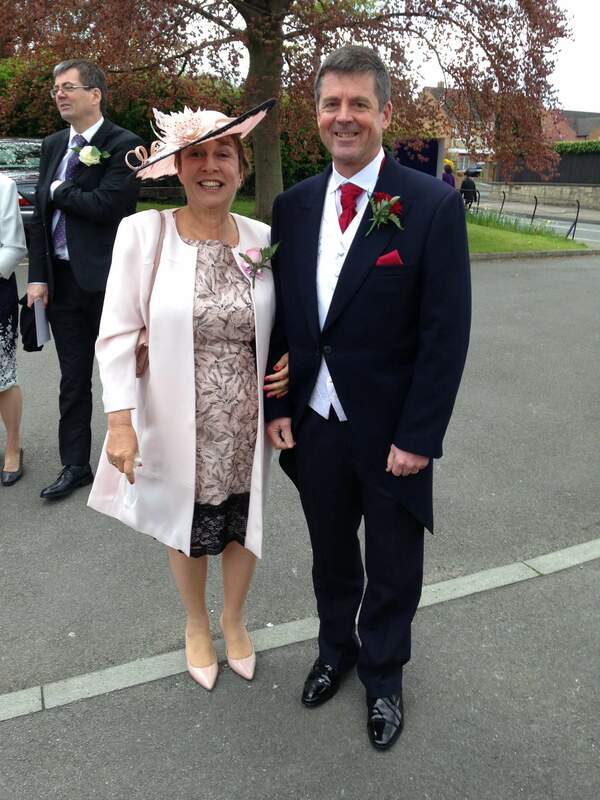 There’s nothing more thrilling to make then a glamorous mother of the bride or groom hat. 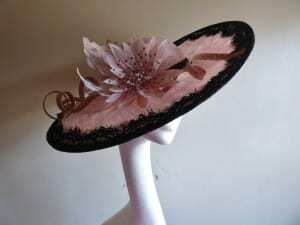 My customer was a stylish woman wearing a lovely blush pink dress with a black, eyelash lace overlay. She wanted a handmade hat to perfectly match her outfit. She came to my studio and together we came up with a design to complete her outfit. The Hat base had a large slanted brim with a short rounded crown made from sinamay in blush pink. 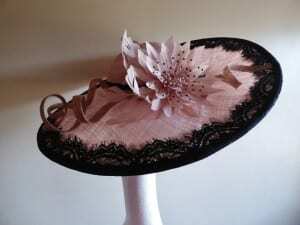 The hat was edged in black sinamay around the edge of the brim and the crown. 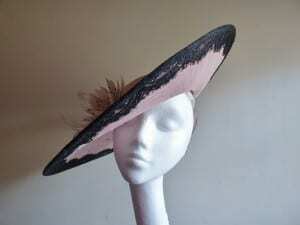 I then stitched black eyelash lace around the edge and embroidered it with delicate glass beads. A large, spiky dusky pink flower centred the hat. The flower was made from stripped and dyed feathers dotted with black Swarovski crystals. Then Large sinamay loops were curled around the flowers in shades of pink. 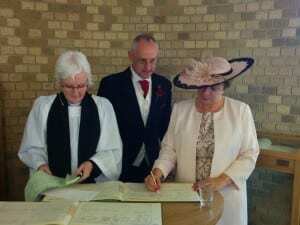 The hat was attached on a handmade light weight wire headband coloured to the shade of my customer hair. Then a comb was stitched into the hat to act as an anchor. My customer loved her hat and sent these wonderful images to N.Joy.Millinery. 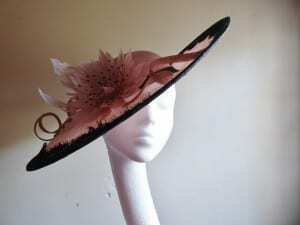 For more information on commissions visit the commissions page on the N.Joy.Millinery website.